All Middle Fork trips booked with EarthTrek will be operated by our neighbor and friends at O.A.R.S. We offer two ways to run the Middle Fork American River. Our most popular offering are combination trips where you can combine one or two days on the South Fork American with a day on the Middle Fork American River, thus allowing you to camp in comfort at our deluxe private camp and still enjoy the challenge of the Middle Fork American River. 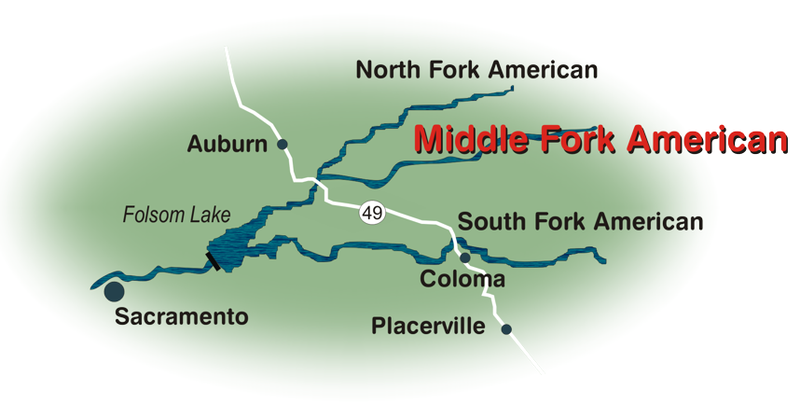 For those with limited time we also offer the Middle Fork as a one day trip. Our SUPER 1 DAY TRIP includes a full day of rafting the Middle Fork American plus camping before and after your rafting trip and 2 breakfasts. Dinner is not included but it is available at one of several nearby restaurants. You may arrive at our camp in Lotus anytime after 5 PM on the night before your trip. 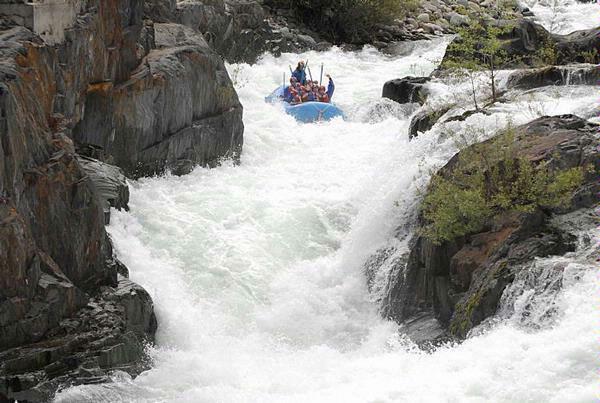 The first day of your trip will include breakfast, followed by our full day raft trip down the Middle Fork with lunch. The trip concludes after breakfast the next morning, about 9 AM.